We’ve heard it used a fair bit, no doubt; the term ‘tunnel vision’ — usually in reference to someone who cannot see the consequences of something or some action even when those consequences appear plain. Politicians tend to cop this adjective a lot when their policies are made public. If, however, an optometrist were to inform a patient that he (the patient) was inflicted with tunnel vision, what he’d be implying is that the patient while retaining central focus has lost that other term we’ve often used a fair bit, too: peripheral vision. This, as we all know, is vision that occurs, as Wiki puts it, ‘on the side gaze’. Sometimes called para-central vision and adjacent to the central gaze it is one of those vision types that all parents find themselves using ‘to the max’ when they have young ones who are especially at the infant or toddler stage. Because infants and toddlers, with uncanny instinct, somehow always find themselves operating on the periphery, never in plain sight. This mother of two, in a north Queensland town will, if interviewed, give thanks to her peripheral vision, for without it the story of her 22-month old child could have had a different ending. The young one and his three-year-old sister were allegedly playing on the verandah while the mother was inside, on the phone to her mum. A natural-enough family setting at any given time. Children outside, playing. Mum indoors but not too far away, getting a bit of a breather. This is when, on the periphery, she caught her daughter’s startled reaction and reckoned there was something weird about it. One can be fairly certain that her own first thoughts were not specific. That is, she didn’t think: diamond, carpet, scrub, pygmy, olive, rock. All of which are types of python found in Australia. 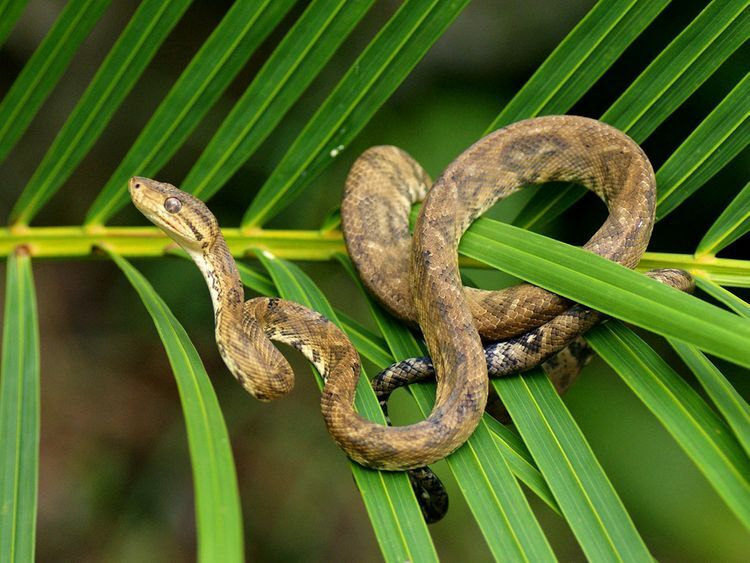 No, her alarmed and alerted mind just generally thought ‘snake’, and, from thereon, a terrible struggle ensued because the scrub python — for that’s what it was — had already bitten the 22-month-old and was trying to coil itself around his arm. The mother in turn screamed out to her father and the pair set about trying to prise the snake away which, as anyone who’s tried to separate a hungry python from its meal will attest, is no easy feat. Far from being deterred the snake turned on the young mum’s father, wrapping its coils around his arm even while the child’s mother tried to dig in, find the head and squeeze it as hard as she could. All in vain though. The early effort made little difference, she told the press, saying, ‘There was no way we could get him off, he was just pure muscle.’ In the end, the father said he had to stab it with a knife, down the spine, four, five times before it even registered with the python, via a gentle loosening of its grip, that its meal was being seriously thwarted. Ultimately, however, its head had to be severed, an act they say they were reluctant to engage in and only had to resort to when it turned on the child’s grandfather. But here’s an interesting fact: the mum said she was familiar with the python, having seen it around the property before. This concept of live and let live, while it may make the hair stand on end and the skin crawl among urban dwellers, is a lot more common in country areas especially in rural Australia. The concept of living with and amongst nature is different but I tell you what, I’d love to know how the peripheral vision of urban residents compares with that of country dwellers. Especially in a land with some of the most venomous reptiles.